The Education Committee is committed to better educate the builder and associate members of The Building Industry Association of Okaloosa and Walton Counties through various continuing education events as well as free seminars. The BIA is offering a Residential Construction Superintendent Self Study. This is available at the BIA office. For cost information, call the BIA at 850-863-5107. For more information on the self study visit: http://www.nahb.org/category.aspx?sectionID=727. Each year, in coordination with the Parade of Homes committee, the BIA’s education committee score many applications from area students for the William R. McClarrie Memorial Scholarship. 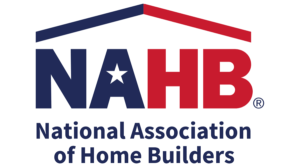 The William R. “Mac” McClarrie Memorial Scholarships, named in remembrance of a former President of the BIA, are presented each year in conjunction with the Association’s Parade of HOMES, which takes place in June. The Mike Josey Memorial Scholarship was established by the BIA to honor the legacy of the late Mike Josey who served the BIA on the Board of Directors until his untimely passing in March 2008. Mike was the 1st Vice President and Parade of HOMES chairman and president-elect at the time of his death. He was a Crestview native and active builder member of the association that honored others through service and devotion to the industry, his community and his fellow man. This scholarship was created in his honor to benefit local students that exemplify those characteristics. It is the hope of the BIA that recipients of this award will honor it through their commitment to service above self.